Excellent for large family. L-shaped LR& DR, eat-in kitchen w/blt.ins,family room w/fp, Patio doors to deck, inground pool. Full/fin. 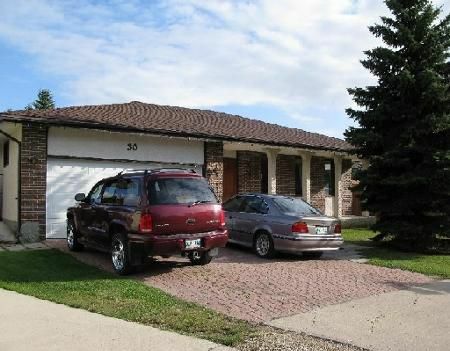 bsmt w/2bdrs,recrm,workshop & cold storage.AT2 garage,landscaped & fenced yard backing to park. In need of some TLC.